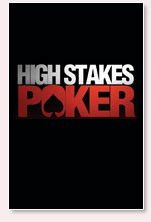 The cast of the fourth installment of High Stakes Poker has been set, and taping is scheduled to begin on May 13th. The complete list of players is still slowly leaking out, and as soon as we get a complete list of the players participating, we will post it on this site. For now, we can only go by what certain players have posted on their blogs. Brian "sbrugby" Townsend wrote on his blog today that he will not be participating. From what I understand, show producers declined to have Townsend back on the show this year. I am guessing that Townsend's fairly quiet demeanor at the table was the deciding factor in producer's not inviting him back this year. From what Townsend indicated, he had wanted to play again if invited. You can bet that the usual cast of characters will be back this year, names that include Doyle Brunson, Todd Brunson and others. I am guessing that names like Towsend and Wasicka will not be back this year, as show producers will likely invite 2-3 young poker superstars, possibly from the world of online poker, to play in Season 4. Might we be soon seeing the likes of Sorel "Imper1um" Mizzi on the show?